This is an absolutely wonderful promise! What a picture of the love and kindness of God! Even when we struggle in our faith, He will remain faithful to us because we are part of Him and He can't deny himself. The New Living Translation says ... If we are unfaithful, he remains faithful, for he cannot deny who he is. The Bible says in 1 John 4:16 that God is love. 1 Corinthians 13:4-8 describes the attributes of love. 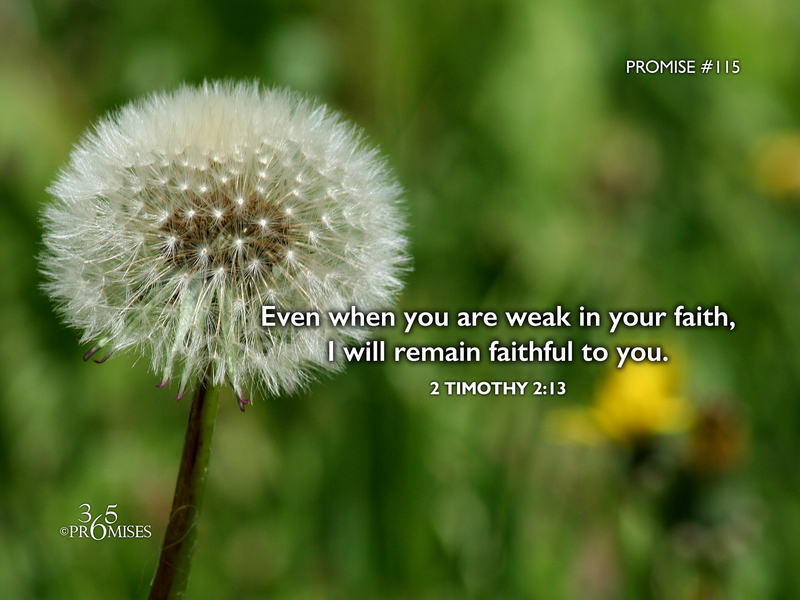 God will remain faithful to us even when we are not faithful to Him because that is who He is. Love believes all things, hopes for the best, never gives up. If you are struggling today with your faith, don't give up because God won't give up on you! He loves you with all His heart and He has promised to be faithful even in the times when you are not. My prayer for each one of us today is that we would see our God and Father for who He really is. He is the complete expression of love and His desire is that we would yield to His relentless pursuit of our hearts and simply let Him love us more today than He did yesterday.